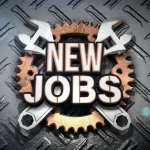 A Bedford company will invest more than $300,000 to expand operations, a project expected to create nine new jobs. Central Virginia Manufacturing is a sheet metal fabricator. State and regional funds will help support employee job training. The Virginia Economic Development Partnership (VEDP) will support Central Virginia Manufacturing’s new job creation through its Virginia Jobs Investment Program (VJIP). VJIP provides consultative services and funding to companies creating new jobs or experiencing technological change to support employee training activities. As a business incentive supporting economic development, VJIP reduces the human resource costs of new and expanding companies. VJIP is state-funded, demonstrating Virginia’s commitment to enhancing job opportunities for its citizens. The Bedford County Economic Development Authority (EDA) will assist the company under a defined performance agreement tied to jobs and investment over three years. In addition, the Region 2000 Workforce Development Board will provide financial assistance for apprenticeship-related instruction.